PREREQUISITE: Reiki training in any style. This class is taught by Dr. Maria Danilychev, MD. The information reviewed in this seminar is essential to any Reiki practitioner. The training includes important topics related to Reiki laws, legally required consents, ethics, confidentiality, boundaries and professionalism, and how to start your own Reiki practice. You will learn valuable tips and must know "dos" and "don'ts". 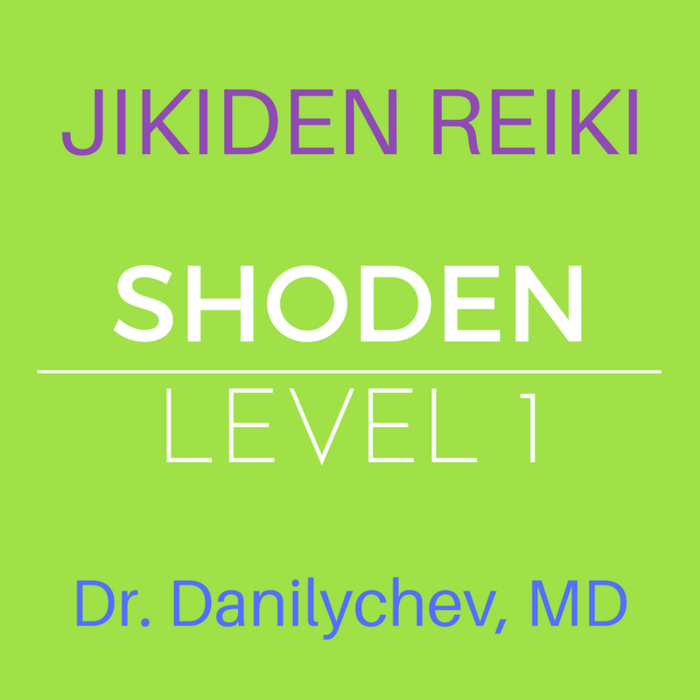 SHODEN (Reiki Level 1 Class). Sat/Sun 03/02-03/03/19. Sat/Sun 8am~5pm. Learn original style Reiki, and discover Reiki history, Reiki principles, essential Reiki symbol, and how to give hands-on Reiki. You will receive Reiju (a Reiki attunement) and have hands-on practice as a part of this training. This class is taught by Dr. Maria Danilychev, MD, a medical doctor and a Jikiden Reiki Shihan (master/teacher). 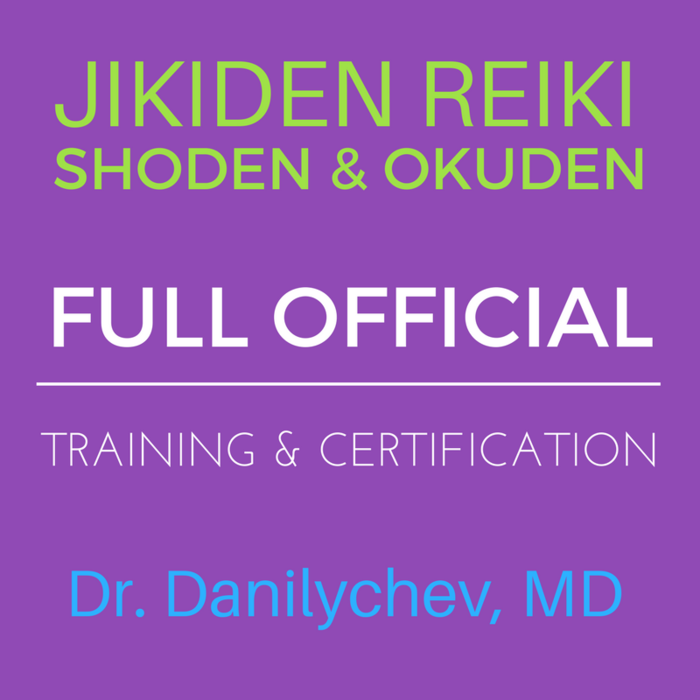 Note, Shoden AND Okuden are required for practitioner Certification. This introductory mind-body-and-soul session includes approximately 45 minutes of Japanese-style Reiki, as well as intuitive guidance and gentle wellness advice with Dr. Maria Danilychev, M.D. * Please note, a $100 fee will be applied to all no-shows and appointments cancelled with less than a 24 hour notice. No exceptions. 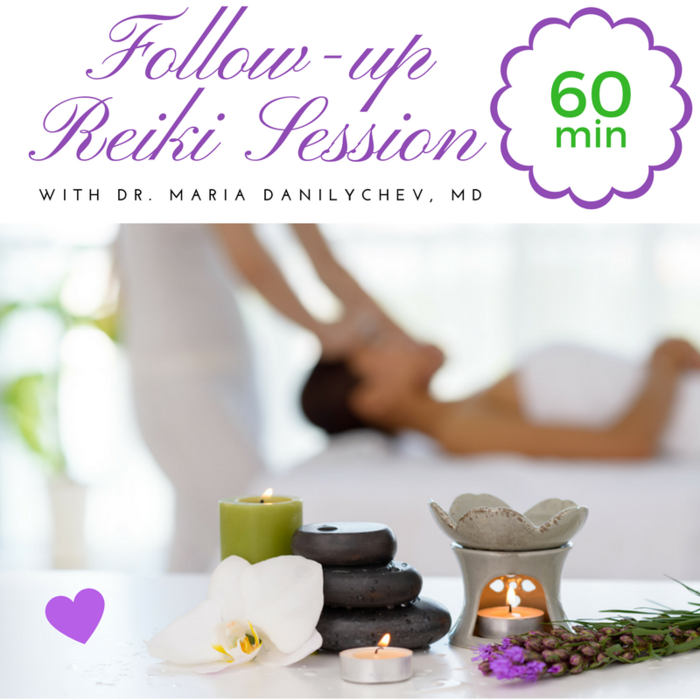 This introductory mind-body-and-soul session includes ~75 minutes Japanese-style Reiki, as well as intuitive guidance and gentle wellness advice with Dr. Maria Danilychev, M.D. This session is ideal for quick follow up. This mind-body-and-soul session includes ~45 minutes of Japanese-style Reiki and intuitive guidance and gentle wellness advice with Dr. Maria Danilychev, M.D. This session is great for general follow up and wellness maintenance. This mind-body-and-soul session includes an 75 minutes of Japanese-style Reiki, the doctor's review of you your physical, emotional and spiritual concerns, as well as intuitive guidance and gentle wellness advice. This session is ideal for follow up of several long-standing concerns and for anyone who wants to get the maximum benefit from Reiki. This mind-body-and-soul session includes ~ 90 minutes Japanese-style Reiki, the doctor's review of you your physical, emotional and spiritual concerns, as well as intuitive guidance and gentle wellness advice. Give the joy of learning Reiki to someone you love!